Winter brings more than snow and cold from the north. Occasionally it also brings us beautiful northern birds. The vast sweep of boreal forest spanning Canada from coast to coast is home to sublime birds we seldom see in southern Ontario. These include pine grosbeaks, evening grosbeaks and bohemian waxwings. All three have arrived in Headwaters this winter. What do Boreal Birds Eat? 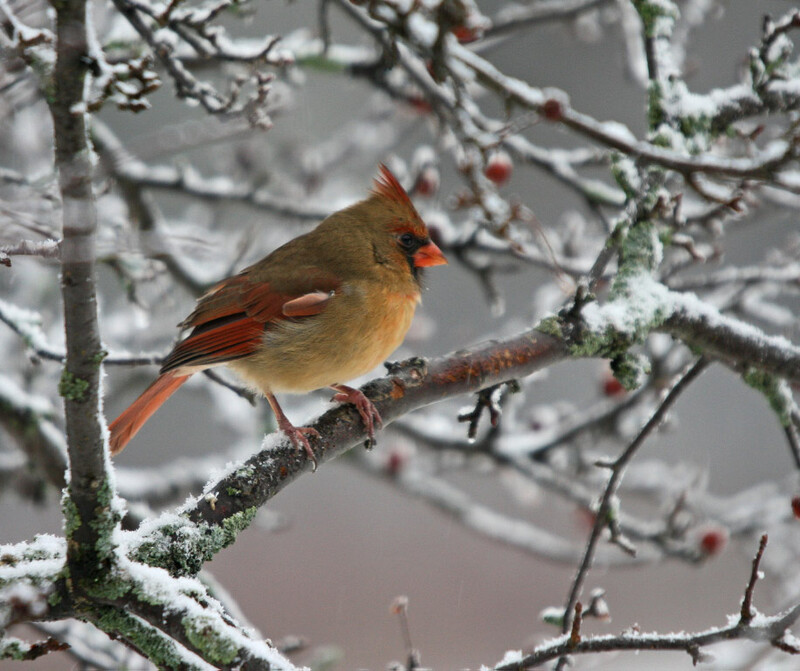 These songbirds are perfectly comfortable in frigid temperatures. If they have enough seeds and berries to eat, they stay in the snowy north. 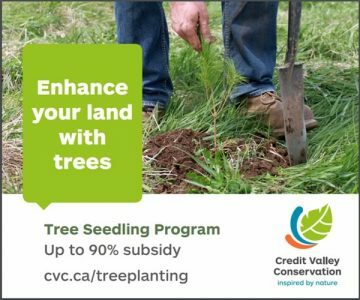 But when northern crops of conifer seeds and mountain ash berries are in short supply – as they are this winter – the south beckons. Evening grosbeaks feeding on sunflower seeds northeast of Shelburne. Photo by Fiona Reid. 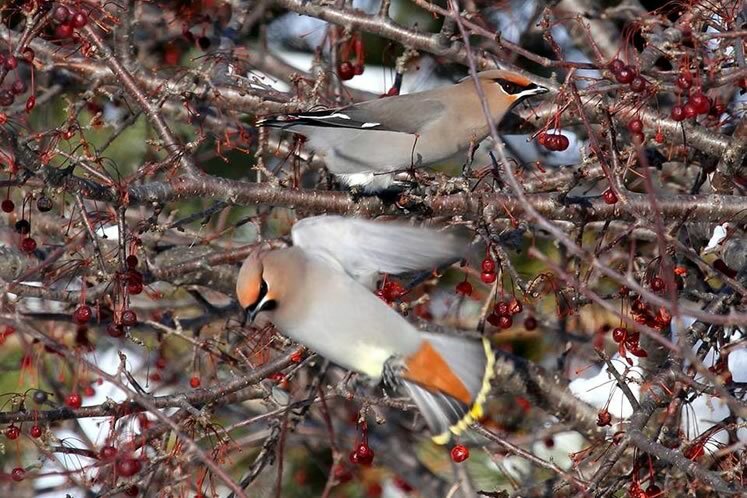 Bohemian waxwings are slightly larger than their cedar waxwing cousins that are common residents of our hills. 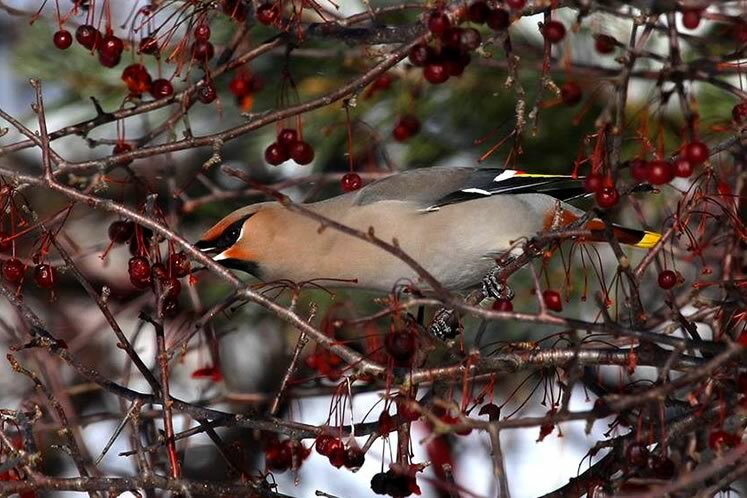 Both species of waxwing are truly elegant, and both are dedicated frugivores – fruit eaters. Here in the south, crab apples are a favoured winter food of the bohemians. 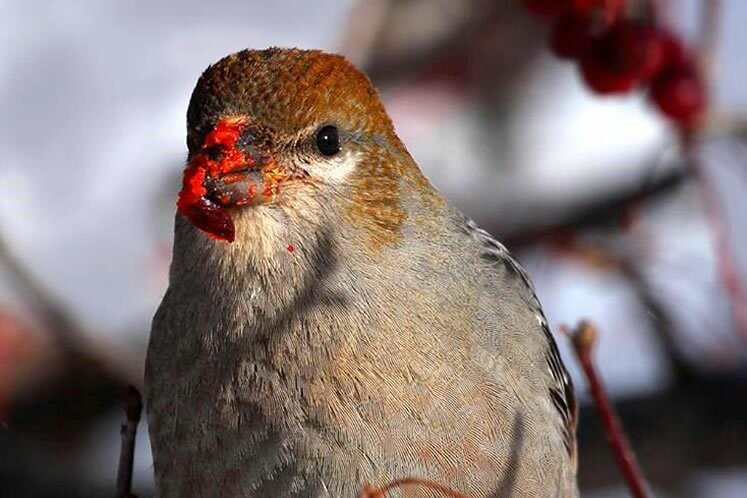 Pine grosbeaks sometimes forage with bohemian waxwings on crab apple trees but while the waxwings consume the flesh of the apples, the grosbeaks spit out the pulp and swallow the seeds within. Golden-hued evening grosbeaks are visually stunning creatures. 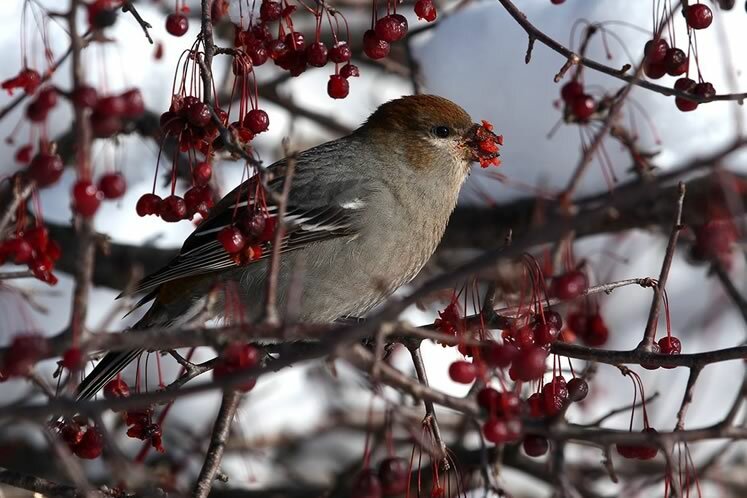 Like their pine grosbeak kin, they wield impressive beaks that crack seeds with ease. Manitoba maple samaras are choice winter food. So are sunflower seeds. 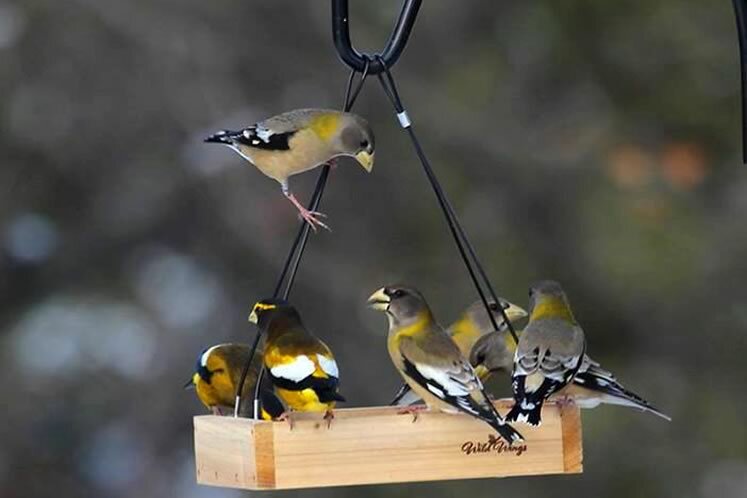 Flocks of evening grosbeaks are notorious for emptying bird feeders in short order. The evening grosbeaks visiting southern Ontario this winter might hail from Temiskaming or Algonquin Park and the pine grosbeaks from the James Bay coast or northern Quebec. And astonishingly, the bohemian waxwings may have travelled all the way from northern Manitoba or even the North West Territories. Hardy, resourceful – and hungry, these lovely birds fly hundreds, even thousands of kilometres for a good meal. 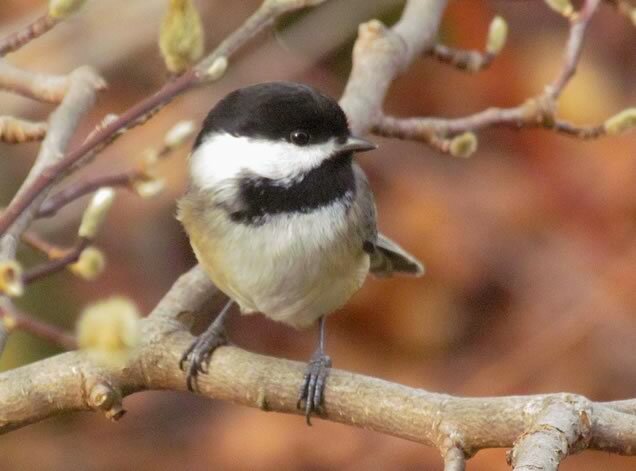 Chickadees are consummate risk takers and they pack a lot of smarts into their tiny bird brains. 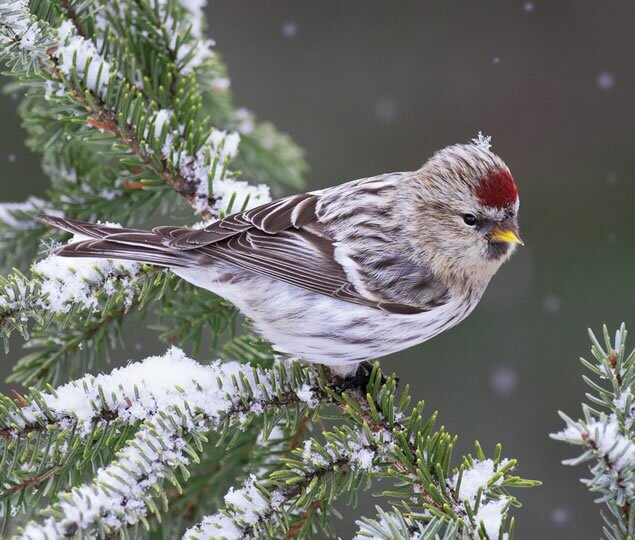 The Christmas Bird Count is an annual tradition that entices naturalists to down steaming cups of pre-dawn coffee and then head out birding at first light. 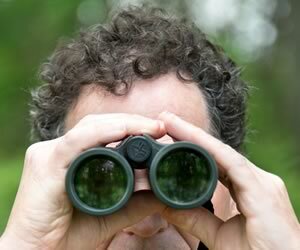 Birdwatchers like me are notoriously nerdy, and the essence of this is a fascination with lists. Birds are drawn to feeders like Saturday morning coffee drinkers to Tim Hortons. The presence of birds in the winter landscape is life-affirming.